Welcome to PubWorks Support site, PubWorks is asset management software. This site is designed to help PubWorks customers find answers for their questions regarding our Asset Management, Service Request, Work Order, Fleet Maintenance, MapViewer and Mobile products. The Asset Management CORE is the cornerstone of the PubWorks suite of products. Find all your support resources for the Asset Management CORE here. The Service Request module is a heavily used product. Find answers to your Service Request related questions here. 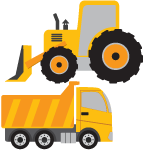 Fleet Maintenance is a complete stand-alone fleet management system. It is also a nice addition to the rest of the PubWorks suite. Find Fleet resources here. The Work Order module is the scheduled maintenance module for PubWorks. Find answers for your Work Order questions here. 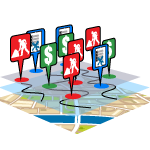 The PubWorks MapViewer lets you see your assets on a map. Find answers to your MapViewer questions here. Recording work in the field has a lot of potential to save you time and money. It’s a new PubWorks product, our resources are a little thin, but here are a few. Check out our list of Tooltips, you might learn something new! We have recordings of our past webinars, see if you can find what you’re looking for! Short How-To Videos are a great resource to learn tricks in PubWorks.